‘Social networking sites such as Facebook and Twitter are observed to have more negative effects than positive being more useful for the criminals than others. Around us, we noticed many people are using social networking sites like Facebook and twitter. It is considered by many that social networking site has many advantages, while some believed that social networking site encourages criminals. I partially agree with both views, because of technology, people can stay closer to the world with cheap and efficient communication. Firstly, social media sites are one kind of bridge for people, who live far from each other. Because of social media, many old and new friends can chat easily, share the information about their lives. Also, those peoples who migrated in another country, they can stay connected by social media like a Facebook video call. Moreover, many people join the community, which pursues same kind of interests toward certain subjects, and they communicate with different people that increase more knowledge. For example, some people like to know more about the painting, so they follow painter’s community from that he/she get more idea about different painters who work around the world. On the other hand, social networking site embarks many sorrow events in people’s life. Nowadays people are so much addicted from these social sites, which effect on their physical and psychological health. For instance, many students, who neglect from their friends. They take revenge with accessing other friend’s personal details and threaten them. Many people create the fake account and chat with other people. There are many people over share their details on the social site, which also easy for a criminal to hack the account. 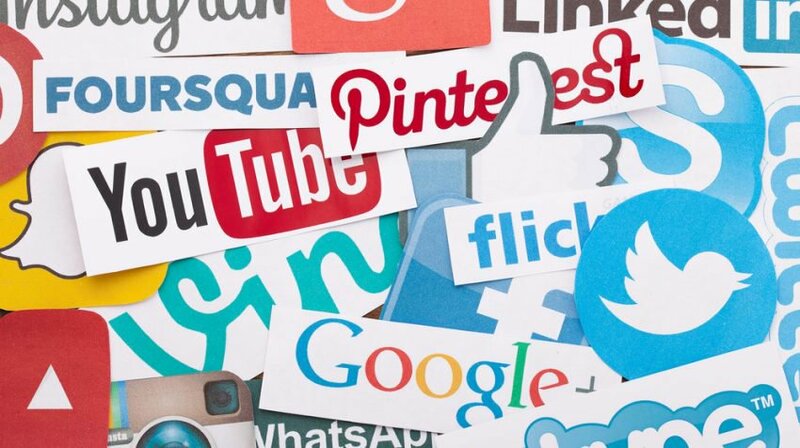 To sum up, I believe that use of social media is good till certain level to connect with people but limited details reduce chances of crimes. Around us, we notice​ ​d​ many people are using social networking sites like Facebook and twitter. It is considered by many that social networking site has many advantages, while some believe ​ d​ that social networking site encourages criminals. I partially agree with both views, because of technology, people can stay closer to the world with cheap and efficient communication. Firstly, social media sites are ​like a one kind of​ ​ bridge for people,​especially for​ who live far from each other. Because of social media, many old and new friends can chat easily, share the information about their lives. Also, those peoples who migrated in another country, they can stay connected ​through ​by​ social media like a Facebook video call. Moreover, many people ​ with similar interest can form a group and learn from each other which increases their knowledge in that particular field.​join the community, which pursues same kind of interests toward certain subjects, and they communicate with different people that increase more knowledge​. For example, some people like to know more about the painting, so they follow painter’s community and ​from that he/she​ get more idea about different painters who work around the world. On the other hand, social networking site embarks many sorrow events in people’s life. Nowadays​,​ people are ​very ​so much​ addicted from these social sites, which ​affects ​effect on their physical and psychological health. For instance, many students, who​ are ​ neglect​ed​ ​by from​ their friends. They​ take revenge ​ by ​ with​ accessing ​ the ​ other​ ​ friend’s ​account ​ personal​ details​ and threaten them. Many people create the fake account and chat​.​ ​with other people. There are many people ​who ​over​ share their​ personal ​ details on the social site​,​ which ​makes it easy for criminals to hack into.also easy for a criminal to hack the account​ ​. To sum up, I believe that use of social media is good ​to a ​till​ certain level ​to connect with people but​ precautions should be taken regarding privacy and security. ​ limited details reduce chances of crimes. Has addressed the main ideas of the topic. Presents the main ideas but has not substantiated enough. The essay is adequately divided into four paragraphs with an introduction and conclusion. Essay has adequate number of words i.e. 274. Presents information with some organisation but there may be a lack of overall progression. Inaccurate usage of cohesive devices. Student has written- ​Moreover, many people join the community, which pursues same kind of interests toward certain subjects, and they communicate with different people that increase more knowledge…. It should be- ​Moreover, ​many people with similar interest can form a group and learn from each other which increases their knowledge in that particular field​…. …they can be connected by social media…. …they can be connected​ through​ social media…..
Has used an adequate range of vocabulary for the task. Social media has been one of the most amazing inventions of this century.Some people think that it has more disadvantages than advantages. Especially, as it is more useful to criminals.I partially agree with this statement. Social media has been a boon in many ways. Networking sites like Facebook,Twitter etc. have transformed the way we interact. Also, share and communicate. for example ,I connected with my childhood friends who are all over the world. That too after 30 yrs and we had a school reunion. We are also connected with our family and are able to keep in touch with them constantly. And also be a part of family functions like weddings etc. Social media has helped in alleviating communication gap. Especially, between people in remote areas . They have provided a rapid and effective way of interaction between them. It has also helped in fighting injustice and taking up social causes. However, networking sites have their drawbacks also.People have become disjointed and self centered . Because they are spending more time in front of their laptops,mobiles etc. Hence as a result are lacking in social skills. Since we are sharing a lot of our personal information,photographs etc. Also, there is a risk of it being misused by criminals.There are people who are trolling others. Which at times can have detrimental effects.There are people with fake accounts enticing young girls and boys. It leads to causing fraud relationships and mental trauma. I would like to conclude by saying that social media has positively revolutionized the way we communicate. Especially, in the past few decades.However, while using it we need to be privacy and security conscious.